The Philadelphia Film Festival is in full swing. Beginning on October 18th, the city’s 27th annual festival is showcasing more than 100 films this year, including Jason Stone’s intimate science fiction thriller “At First Light,” starring Théodore Pellerin and Stefanie Scott. 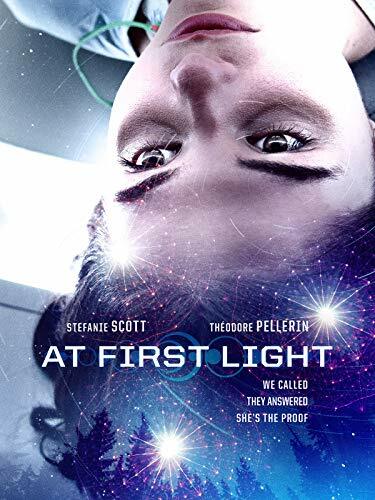 “At First Light,” beautifully shot and well acted, is a smartly contained movie, centering primarily on the experiences of two teenagers in the wake of a supernatural encounter that leaves Scott’s Alex amnesiac and struggling with new and terrifying powers. What “At First Light” does especially well is it keeps the larger than life action framed by the smaller and more accessible story of two teens and their evolving relationship. Both Scott and Pellerin (who plays Sean) deliver excellent performances, and though the trajectory of their relationship is mostly obvious, it develops naturally and not a moment of their interaction feels stifled or forced. The stark desert landscapes of “At First Light” are on full display throughout much of the film. There are a couple of especially lovely overhead shots that bookend the story, and set Sean and his brother Oscar (Percy Hynes White) as small shadows against a much larger world. A world that begins in the turmoil of poverty and ends with much larger questions at hand. The action and special effects of “At First Light” are sparsely utilized, which makes them effective and worthwhile. Many indie sci-fi movies fall into the trap of attempting to do too much with their SFX budget, but “At First Light” smartly shies away until the climax, which makes its efforts more effective. Is “At First Light” territory that we’ve tread upon before? Yes. But if you’re interested in seeing some strong performances from up-and-coming actors and an intimate character study set against a much larger drama of supernatural action and government cover-ups, “At First Light” is well worth the watch.